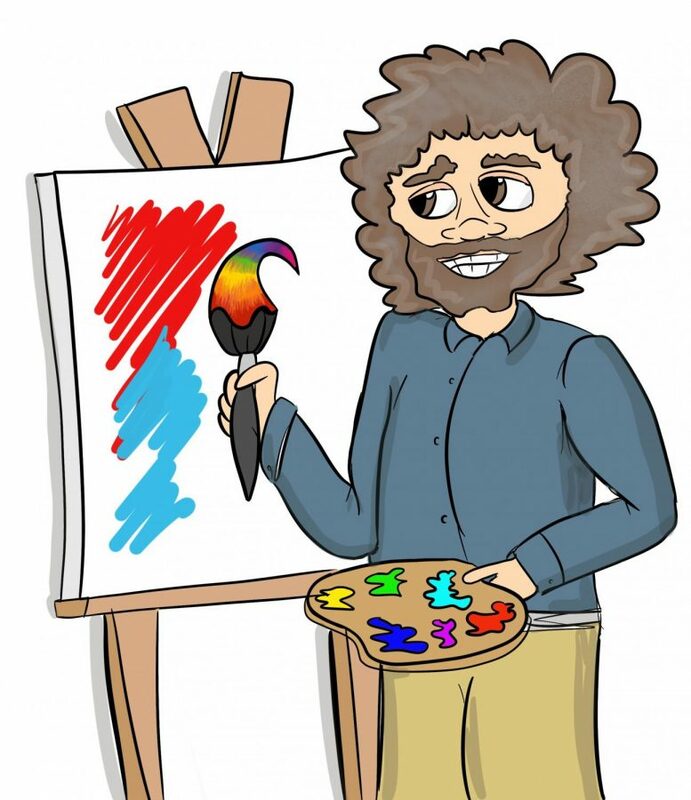 In a bid to increase University support, faculty and alums introduced an art and art history course called “Happy Accidents” which focuses on the life and works of famous painter Bob Ross. At first, the course seemed remarkably well-received as it is designed to provide stress relief and discipline for students who are overworked and struggled with their courses the previous semester. However, the class has sparked controversy amid claims that it is not an art history class at all, but rather a semester-long boot camp. Rumors began to spread after several students complained about the working conditions of the class. Students were reportedly required to scrub stains of Titanium White off the classroom floor with nothing but a toothbrush and elbow grease for up to two hours, which was labeled on the syllabus as a “Character-Building Exercise,” among other harrowing experiences. To better understand both sides, The Bucknellian secured the official statements of both the professor and the faculty who designed the course. Faculty and staff still stand behind Green and released an official statement in his defense this past Friday.